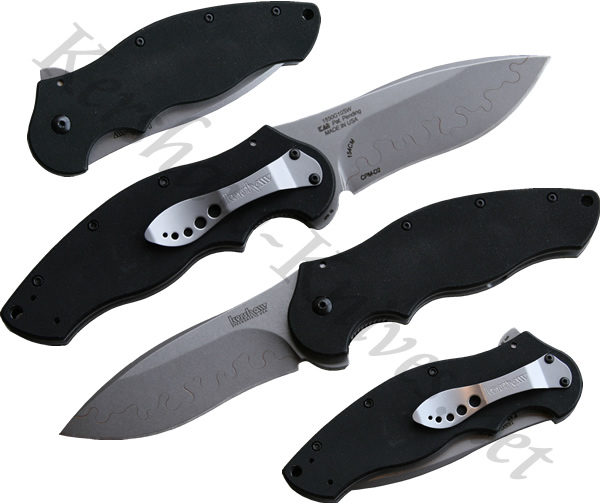 The Kershaw Tyrade model 1850G10SW has a stonewashed composite blade made of CPM-D2 on the cutting edge and 154CM on the spine. It has an assisted opening blade that is activated using the lever on the back of the knife. Both sides of the handle are made of G-10 to give extra grip even in wet conditiongs. The pocket clip can be mounted on either side of the handle enabling you to carry the knife tip-up or tip-down.